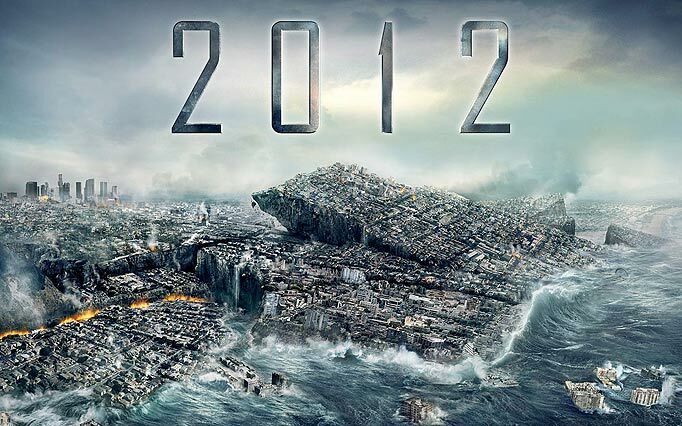 According to the Mayans and Nostradamus, the world is scheduled to conclude one week from today. The prospects of finality bring several critical questions to the forefront. What should we do with our final seven days? What will I wear next Friday? Will I have enough Double Stuffed Oreos to get me through my final week on the planet? Should I do any Christmas shopping? Does this mean I have to shave or can I let myself go? I am supposed to finish a root canal on Tuesday, why? I have too much to do for the world to end in a week! As a Christian our response to doomsday should be the same as our response to everyday, sobriety balanced with watchfulness. Here are a few things to consider, from a Christian perspective, to keep us from losing our minds in our last week on the planet. The curious thing to me about the Mayan prediction is that they somehow knew when the rest of us would disappear, but they had no idea that they were about to disappear. The truth of the whole matter is that they didn’t know. The Mayans, Nostradamus, nor any man has ever been entrusted with the information necessary to know when the world will end (Matthew 24:36). Doomsday predictions inevitably lead to anxious countdowns, a day of holding our breath, and then waking up the next morning wondering what will we do today? The Bible teaches that any day could inaugurate the end. As a follower of Christ we should be sober about existence. No day is guaranteed and everyday is to be lived in the fullness of Christ (Matthew 24:44). When it comes to the end of days, many Christians have become as goofy about the whole thing as the Mayans, Nostradamus, or as Edgar Whisenant’s classic 88 Reasons Why the Rapture Will Be in 1988. We turn the end times into a game of charting, decoding, and predicting. The interesting thing about the Bible is that we miss the forest for the trees. When it comes to the end times the Bible is intentionally ambiguous and abundantly clear. What is abundantly clear is that Jesus will come again and set the world back to right. What is intentionally ambiguous is when and for the most part how. In what order will things unfold. I have my ideas, you may have yours, but it doesn’t matter. The one message Jesus had in all of this is respond to the gospel and be ready whenever it happens. When we think about the end of days as a day for our prediction we ignore the Biblical message, be prepared whenever it should come (Luke 12:40). The end of days is not about the exhaustion of the environment, the collapse of an economy, or the end of chronology on a calendar. The end of days is about a return and a reckoning. The world will not end because we have choked ourselves to death on diesel fumes. It will not end because the polar ice caps have flooded the world due to global warming. The world will not end because the Mayans quit counting. The end will come as an intentional move by a sovereign God who is just. The end of days is not a cataclysmic accident, but an intentional act of a loving God to complete His plan of redemption. It is not the end of human history, but of salvation history, the story of God to redeem and make all things new (Rev. 21:5). Dec. 21 is doomsday, they say. Whether or not the world ends next Friday, true followers of Christ have no reason to look at the end of days with fear, but with anticipation. Many people read the Book of Revelation as if it is a dreaded day. It is, if you do not know Christ as Savior. But for the believer the end is not a dreaded day, but a blessed one. Titus 2:13 actually calls all of this, “our blessed hope.” For those who were suffering terribly under the cruelty of Roman persecution, the Book of Revelation was not bad news, but great news. No matter how evil or powerful the world becomes, Christ will be the victor of all and He will make all things right. If you want hope in the end, follow the victor now. Repent of sin and receive eternal life in Christ (John 3). December 21, 2012 will fade into the night and December 22, 2012 will awaken us with another day full of life and responsibility. No matter what happens we need to shave, eat Oreos in moderation, and by all means buy Christmas presents. We need to be sober – which means don’t lose your mind over the end! We need to be watchful – which means we don’t need to lose sight that there is an end. Paul’s message to the Thessalonians in 2 Thess. 5:1-6 was about holding these two truths in balance. The Thessalonians had an unbiblical view of the end and because of it, they lost their mind. Let’s be biblical about the end and whether or not this be our last week on the planet, let’s keep it in perspective and not lose our minds as well!